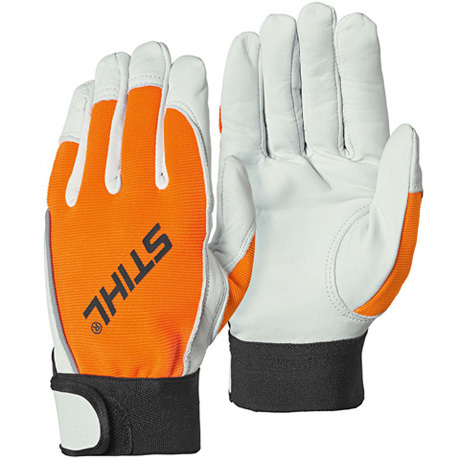 Excellent grip for use with chainsaws and other outdoor power tools. Goatskin leather palms mean a firm grip whilst providing sensitivity and a good fit. Breathable knitted fabric on the upperside of hand and fingers give great flexibility. Flexible gauntlet protects against dirt. Sizes: S - XL.